During the year, we achieved our income collection targets and our empty property turnaround time improved, with a reduction of revenue lost. Our repairs performance overall is showing a positive trend and further changes have been made to the system which will continue to improve the Group's performance. Progress Lifeline, which offers technology-enabled care and support services, generated more than £3.5 million for the Group in 2017/18. We offer support to more than 34,000 people and we have 24,818 Telecare customers. The TECS services generate surpluses which help us to cross subsidise and contribute to our future development of new homes. 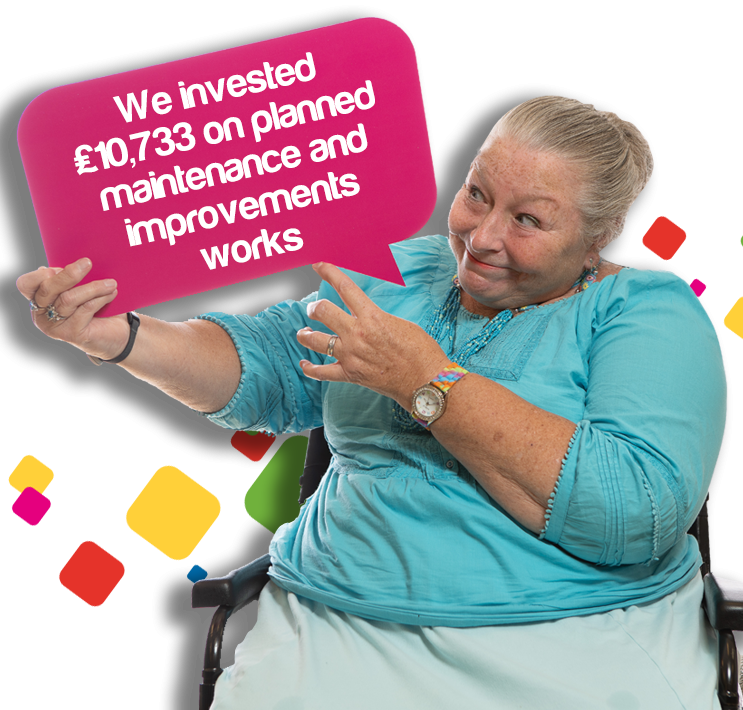 Last year we generated £761,000 from the sale of shared ownership properties. To generate more income going forward, we have set up Concert Living a company that will build homes for outright sale.